An opening chapter on the purpose of linguistic analysis, which outlines the differences between the two major approaches to grammar - functional and formal. An overview of the SFG model - what it is and how it works. Advice and practice on identifying elements of language structure such as clauses and clause constituents. Numerous examples of text analysis using the categories introduced, and discussion about what the analysis shows. Exercises to test comprehension, along with answers for guidance. 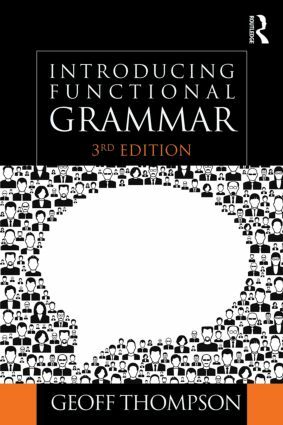 The third edition is updated throughout, and is based closely on the fourth edition of Halliday and Matthiessen's Introduction to Functional Grammar. A glossary of terms, more exercises and an additional chapter are available on the product page at: https://www.routledge.com/9781444152678. working in the TESOL field. Geoff Thompson is Honorary Senior Fellow at the School of English, University of Liverpool.